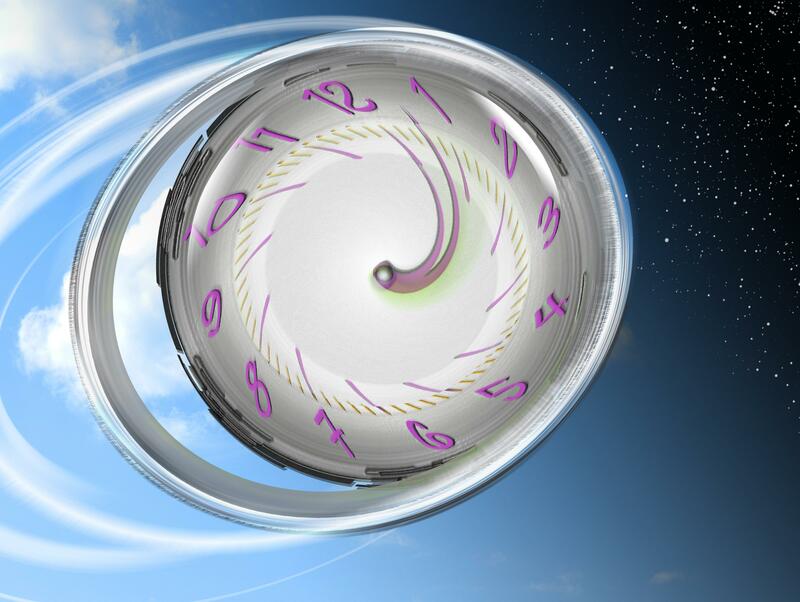 We understand time in three phases: past, present, and future. We receive wise counsel not to live in the past while at the same time we are advised to plan for the future. Indeed, even the Apostle Paul exhorts, “Brethren, I count not myself to have apprehended: but this one thing I do, forgetting those things which are behind, and reaching forth unto those things which are before, I press toward the mark for the prize of the high calling of God in Christ Jesus” (Philippians 3:13-14). Our minds help us in regard to the past by minimizing bad memories and enhancing the good ones. This is healthy for when we latch on to bitter memories, the effects degrade both our physical and mental health. If we focus too much on the future, we can set ourselves up for disappointment, if we fail to accomplish unrealistic goals. Either dwelling too much on the past or focusing too much on the future can both have negative effects on our lives, so we are encouraged to live in the present. “Take time to smell the roses,” we are told. Recently, this has given me cause to ponder. Just how long is the present that we should dwell therein? A minute? A second? A millisecond? A nanosecond? Time constantly moves forward with no stops. In the blink of an eye, the present becomes the past, while in the same instant we arrive in the future and then that is gone. The question is really an existential one since it deals with our existence and experience. We experience life through our senses: touch, sight, taste, hearing, and smell. These all employ our nervous system with the brain and all of its complex network of nerves. So I thought perhaps the present has to do with the speed of nerve impulses. “Scientists have an idea how fast nerves send signals. It varies among different animals and humans, but in general, one can say it is very fast, on the order of 115197 ft/sec (3560 m/sec).” That is amazingly fast, but even at that the nerve impulse itself has a start and stop time, so it too moves from the past into the future with no hesitation. So, how long is the present? Apparently, the present cannot be measured by time, so this must be a philosophical question. I asked a coworker, whose opinion I value highly, how long he thought the present could be. He said the present does not exist. Similarly, I asked an astrophysicist friend, and he said suggested that it was zero. Both of these answers make sense to me because time is constantly moving forward. I envision standing on the zero point on a line graph that continually moves beneath me from positive to negative-positive being the future and negative being the past. I operate from the zero point as time whizzes by me, but what I do at the zero point – the present – influences the future that comes at me. I posed the same question to my oldest son. He’s pretty smart in his own right, and he gave me the most provocative response of all. He said, “The present is eternal.” I do not know if he fully understood the ramifications of such a profound statement. For starters, God is eternal, and He identifies Himself to Moses as “I AM THAT I AM” (Exodus 3:14). He is ever-present. We understand that God is unfettered by time, so He is present at every point in time. He is present in the past and in the future simultaneously. That is why He could say to the Prophet Jeremiah, “Before I formed thee in the belly I knew thee; and before thou camest forth out of the womb I sanctified thee, and I ordained thee a prophet unto the nations” (Jeremiah 1:5). God can accurately foretell the future because He exists in the future. He is eternally present. Unlike God, we are confined by time. We can only experience time at point zero, and that only for the briefest of moments. We experience the future as it passes us by, but our actions in that brief moment affect the unseen consequences that lie ahead. God created us in His image (Genesis 1:26), and as such we are eternal beings. Unlike God, we have a beginning and no end, and again, we exist at point zero. Our actions, therefore, incur eternal consequences. When Adam and Eve disobeyed God in the Garden of Eden (Genesis 3), they caused an eternal rift between God and mankind (Genesis 3:22) that affected all of their posterity – you and me. Their offense and our subsequent sins offend an eternal and holy God, and the offense is eternal. Since the offense is eternal, the consequence is also eternal, and therefore must be atoned for eternally. Hell is eternal because the offense is eternal, therefore the punishment must be eternal. At the perfect time (Galatians 4:4), God stepped out of eternity into our present time in the form of the first, sinless Adam, to offer up Himself as the perfect atoning sacrifice for all of mankind. That sacrifice had the eternal effect of mending the eternal rift between God and mankind. But the remedy is not universal, and it is not automatic. Each individual must make the choice for himself. Making the right or wrong decision in the present will settle your fate for all eternity. “But as many as received him, to them gave he power to become the sons of God, even to them that believe on his name: Which were born, not of blood, nor of the will of the flesh, nor of the will of man, but of God” (John 1:12-13). The present is eternal after all. There is no time like the present to change the course of your eternity. From http://scienceline.ucsb.edu/getkey.php?key=1950, accessed January 16, 2015.